The Pixie Diaries: Hollow Daily ! - My Pixie Inspiration Lyria ! Welcome to the Pixie Diaries! Hollow Daily ! 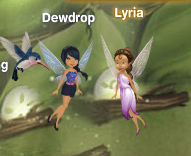 - My Pixie Inspiration Lyria ! Heya Pixie Pals ! 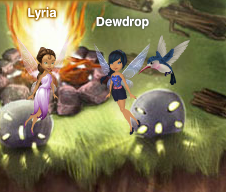 I was just flapping by and decided to tell you all about my time with Lyria ! Yes , yesterday I went to her show in the Fairy Theater and watched her performance with Willow my feathered friend ! Here are some snapshots I took while she was telling the story of the Never Unicorn ! Hollow Daily! - A new story is on its way! Hollow Daily! - Story Announcement! Other Awesome Blogs Out There! Winx Club New Season 4 Images? 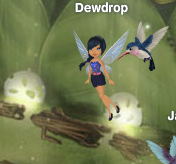 How to : Play on the UK version of Pixie Hollow ! A new beginning with some changes ! Hollow Daily ! - Eye Catcher of the Day ! Hollow Daily ! - Eye catchers of the day ! Hollow Daily ! - Shopping madness ! Hollow Daily ! - GOWN BEAUTY CRYSTAL AIRSHINE !! Hollow Daily ! - Miss Sporty Winner ! Hollow Daily ! - Cuteness in the Hollow ! Hollow Daily ! - School is back for Stella !